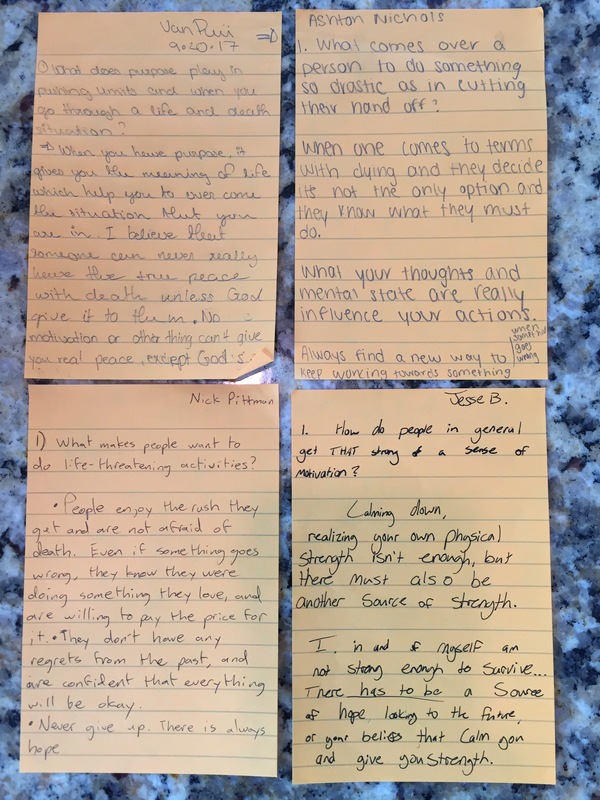 the ASK: I’m constantly working towards creating more purposeful and authentic discussions in class. I’ve written about the way grading discussions don’t work for me and have offered other ways I’ve tackled this same question. I’ve wondered what a simplified approach would look like. Here’s what I’ve tried. the TRY: Before discussion starts I ask everyone to take between 3-5 minutes to get back into their texts and find 3 talking points that can come from any combination of these entry points: 1) a question, 2) a passage from the text they are curious about, compelled by, just don’t get, etc or 3) an insight. Then, at the top of the sticky note, I ask them to write one thing they’re curious about or would like to get out of this discussion. After about 10-15 minutes, we pause and I ask them to write down what they’ve learned about their topic so far. I ask them to consider if their question turned into an insight or if their curiosity has turned into a more specific question about the text. A little later, we pause again. I ask them to draw a conclusion about the text based on what they’ve been paying attention to in discussion. At the end of discussion, I ask them to write down what they learned about the text and about an idea. 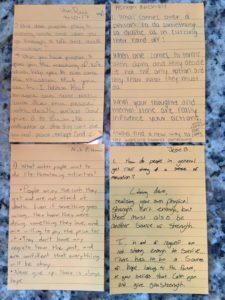 I collect the notes and often use them to formulate discussion or writing prompts for the beginning of class the next day. the LEARN: I’ve learned that a learner-centered classroom means a purpose-driven classroom from the student perspective. This is a way I can stay honest to that belief and make sure discussion is about their discovery instead of my diagnosis.